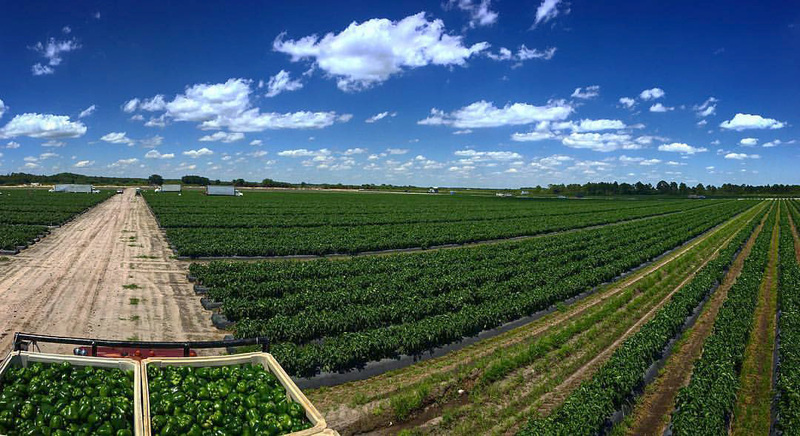 Immokalee / Naples Florida: Oakes farms grows just under 3,000 acres in this area and with Growing Partners features just under 4,000 acres in South Florida. Moultrie / Lake Park Georgia: Oakes Farms has been working with Growers / Partners since 2015 and is continuing to expand the variety list offered out of this window for the Fall & Spring Crops. Faison, North Carolina: Oakes Farms is partnered during this time slot and features Bell Pepper, Eggplant, Variety Peppers, Grape & Round Tomatoes. Vineland, New Jersey: Oakes Farms is partnered with D’Ottavio Produce and started farming together in the Summer of 2017 featuring Bell Pepper, Eggplant, Variety Peppers, and Specialty Eggplant.